The company of Iraqi smuggler Salam Quader Faraj has bought from Bulgaria and exported to the United Arab Emirates (UAE) more than 3.3 billion cigarette packs between 2009 and 2017. Exports to the Middle East are ongoing despite the much-promulgated statements by Bulgartabac that it is putting an end to any smuggling. This large-scale illegal activity has a highly organized structure dating from the time of Communist regime and has been set up through the network of the former State Security. Nowadays, it has inherited all channels of the regime and generates income of at least USD 1 billion a year. This “black” money fuels criminal networks, including organizations, deemed terrorist. The described quantities and the participating counterparties are official data provided by the Customs Agency. The information was obtained in the “hard” way, through the filing of a lawsuit by Bivol. Initially, the Agency refused to provide the information under the Access to Public Information Act (APIA) (see here). Then, its lawyers stubbornly appealed our legal actions against the refusal. Customs bosses argued that this disclosure would violate business secrets and affect the rights of cigarette exporters and their counterparties. Ultimately, the court ruled that such information is in the public interest and must be made public. This saga with the Customs Agency, which has to be sued by us and sentenced each time in order to comply with the law, is indicative. In this case, the ordeal lasted for over two and a half years. It should be mentioned that the former head of the Agency, Vanyo Tanov, would probably have provided the information we requested without the need for endless lawsuits, but he died suddenly at the age of 57. We want to steer away from conspiracy theories, but at the time this incident definitely played a major role in hindering a speedy investigation and the exposure of the criminal structure of Bulgartabac’s trade. According to the information system of the Customs Agency, exports to the UAE are carried out by one single company – Andalus Al-Sharq General Trading LLC. It is the strategic partner of the Bulgarian tobacco holding in the Middle East. Andalus represents Bulgartabac in over 50% of the exports to this key region. It has started exporting small quantities of cigarettes to the UAE as early as 2009. However, during the first term of Prime Minister Boyko Borisov’s government, in 2013, the quantities soared sharply – by 50 times. For the UAE alone, the percentage jumped to a record 72% of the entire production. This coincides with the shady privatization of Bulgartabac. In 2014, under the Socialist-endorsed government of Prime Minister Plamen Oresharski, the exports to Dubai reached their absolute record. In this year only, 20 billion cigarettes or 1 billion packs/boxes have been exported. In the coming years, there is a stabilization at the level of 2013 – about 11 billion cigarettes per year. 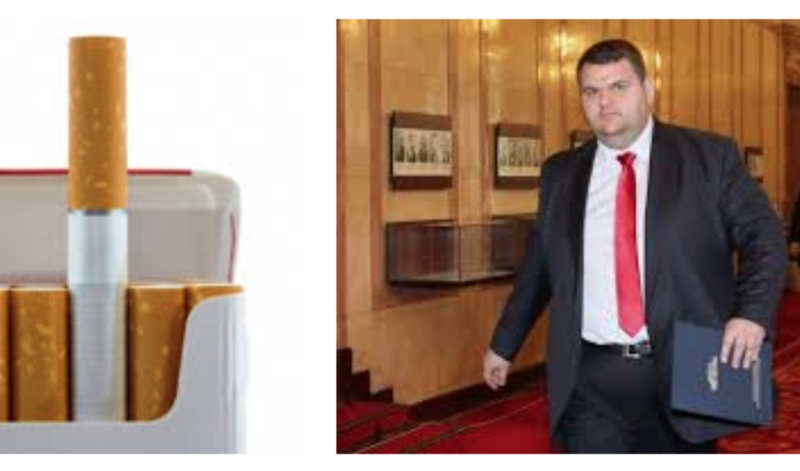 The only Bulgarian exporter of cigarettes for the UAE is Bulgartabac, whose ownership is associated with controversial lawmaker and media mogul Delyan Peevski. In the spring of 2016, Bulgartabac announced it was ending exports to the Middle East. However, Customs data show that roughly the same quantities as in 2015 had been exported in 2016 and 2017. Exports remain ongoing to date. Bulgartabac’s main counterparty, Andalus Al-Sharq, is registered in Dubai and the partners consist of two Iraqi Kurds with a stake of 49%, and one person from Dubai – Essa Saeed Rashid Khalfan Al Shamsi – with 51%. The latter majority owner is the representative of one of the largest tribes in the Emirates and northern Oman. His presence in the company is explained by the Emirate’s business rules – without such a “local sponsor”, foreigners cannot incorporate a company. One of the two Iraqis is the well-known Salam Quader Faraj. According to the Turkish dailies Milliyet and Cumhuriyet, his name is quoted in a report by Turkey’s Financial Crime Investigation Board (MASAK), as organizer of a large-scale network for smuggling Bulgarian cigarettes through Iraqi Kurdistan. He is also known as Mullah Salam. Turkish government reports of recent years regularly mention huge quantities of smuggled cigarettes from Bulgarian manufacturers, reaching Turkey through Iraqi Kurdistan. Last year’s report by the Anti – Smuggling and Organized Crime Unit (KOM) of the Turkish National Police also mentions the Bulgartabac manufacturer. According to these reports, cigarette contraband causes enormous budget losses and in addition, it is used to fund terrorist groups. The dissatisfaction of the Turkish authorities with the passivity of their Bulgarian counterparts regarding this issue is hardly concealed in the 2017 report, which states that data on the ongoing smuggling had been provided to the international law enforcement organizations SELEC and Interpol. The Bulgarian Prosecutor’s Office and the Ministry of Interior have long wriggled and ignored this report until Prosecutor General Sotir Tsatsarov finally announced that there was no evidence of illegal activities committed by the Bulgarian cigarette monopoly. It did not, however, become clear whether the prosecution had been acquainted with the data sent to Interpol or had only seen the public version on the KOM site. Information on Dubai company ownership is not difficult to obtain, and proof of this is the documents for Andalus Al-Sharq, which Bivol acquired and published in 2016 (see here). It is a fact is that Bulgarian institutions and special services have always known that the company is owned by the smuggler Faraj. However, Andalus Al-Sharq has continued to export huge quantities of Bulgartabac cigarettes to Dubai. It exports them to this day. No Bulgarian institution has been bothered by the public fact that behind this company stands a person accused of smuggling. One can conclude that with their inaction, the Bulgarian authorities have concealed a large contraband channel and the Bulgarian State has deliberately and for a long time violated a number of international agreements to combat smuggling, money laundering and terrorism financing. The data from the Customs Agency coincide somewhat with the quantities of exported cigarettes declared by Bulgaria on the United Nation’s (UN) Comtrade website (see table). They have a declared value of over USD 715 million, making an average cost of about USD 0.21 or BGN 0.32 per pack/box of 20 cigarettes. This ridiculously low price, however, is multiplied tenfold and more when the cigarettes reach the black market in Turkey. The illegal business generates billions of US dollars in profits for the traffickers and fuels a large-scale corruption machine. The fee for the unhindered passage of the cigarettes is pocketed by, both, local political “sponsors” and military organizations, some of which are considered terrorist. The countries affected by the contraband suffer huge losses from excise duties and taxes. Not only Turkey, but Bulgaria is affected as well, according to data provided by the UAE to Comtrade, the official UN statistics on international trade. According to it, almost twice as many cigarettes originating in Bulgaria are imported in Dubai than what Bulgaria has declared. The only legitimate explanation for this phenomenon is that there is re-export, which means that huge quantities of Bulgarian cigarettes are exported to other countries first and then re-routed to the UAE, where they are listed by the Customs as a product with Bulgarian origin. On the other hand, in the record 2014, the total quantity of cigarettes produced by Bulgartabac, according to the company’s own accounts, was 25 million tons of cigarettes. At the same time, the declared Bulgarian imports into the UAE were 28 million tons or three million tons more than the total official production of Bulgartabac! Whether these are unreported quantities exported under the nose of the Bulgarian authorities or fake Bulgarian cigarettes produced elsewhere? In both cases, Bulgaria is at a loss and the fight against this traffic should be a priority of the local law enforcement. Bulgartabac’s ownership after the privatization of the State-owned holding in 2011 is associated with Delyan Peevski, lawmaker from the party largely representing the Bulgarian Muslim minority – Movement for Rights and Freedoms (DPS). Officially, it belongs to a Liechtenstein offshore, behind which there is a natural person, but no State institution wishes to say who that is. In a series of investigations, named “Bulgartabac Mafia” Bivol revealed the hidden links and a complex network of strawmen and shell companies hiding the real owner of the tobacco giant. (see here, here, and here). According to statements in the media of the former majority shareholder in the collapsed private lender Corporate Commercial Bank (CCB), banker and financier Tsvetan Vassilev, he, himself, had been a co-owner in Bulgartabac together with Delyan Peevski, his mother Irena Krasteva and the owners of the manufacturer of alcohol beverages under the brand “Peshtera”. Vassilev claims that he has actually provided the bulk of the money for Bulgartabac’s purchase and in a TV interview showed correspondence with Peevski’s lawyer – Alexander Angelov, in which the shares of the hidden owners had been decided. According to Vassilev’s “confessions”, Peevski later bought out the shares of the owners of “Peshtera” and tricked the banker through attorneys who incorporated shell companies and bought behind Vassilev’s back his shares for pocket change. The most fascinating fragment in the ownership structure of the privatized company are three offshore companies which received a 10% commission each for the privatization. According to Vassilev, these three companies are associated with third-term current Bulgarian Prime Minister, Boyko Borisov, his friend Alexander Staliyski and the DPS Honorary Lifetime Chairman, Ahmed Dogan. However, there is no written evidence of such a hidden property, and the offshores have long been closed, according to Bivol’s research. Tsvetan Vassilev never provided any evidence to back his allegations. The ownership structure of the privatized holding, which was published as early as 2015, however, downright includes Salam’s name, the ultimate buyer of the exported to Dubai production. The financial relations with Salam are settled through a registered in Dubai distributor firm of Bulgartabac. BT Invest Gmbh (Austria) -> Livero + Woodford (Liechtenstein) -> TGI Middle East FZE (UAE) -> Prest Trade. It is not clear where the last company in this chain is registered. The CPC officially claims that Prest Trade, in turn, belongs to a natural person. However, the person in question had no commercial activity and therefore his/her identity is not subject to disclosure, the Commission states in a decision dated June 26, 2014. Prest Trade is also registered in Dubai. Documents published by Bivol over the years prove that Ventsislav Cholakov was the representative and managing director of the main companies in the Bulgartabac’s chain of ownership. He is also the manager of BT Invest and director of TGI Middle East. Cholakov, himself, is known as one of Delyan Peevski’s most trusted people, while the latter’s irrefutable connection with TGI Middle East was revealed in an investigation by Bivol in April 2017 based on TGI’s declared assets. (see here). Two years ago, Peevski himself transferred his official 12% stake in Bulgartabac to TGI. Salam Qader (Or Gader) Faraj is a cigarette smuggler from Sulaymaniyah (Slemani), a city in Iraqi Kurdistan. His origin is modest. Until the second Iraqi war in 2003, Salam was a small merchant. He bought cigarettes from Kirkuk, brought them in his personal car to Sulaymaniyah, where he sold them to gas stations and coffee shops. Salam’s rise from a small distributor to wealthy cigarette smuggler, who earned the respectable nickname “Mullah Salam” begins after the war when he is recruited by two big Kurdish businessmen – Hiwa Rauf and Faruk Moustafa. Rauf and Moustafa are among the richest people in the region, with Farouk Moustafa considered one of the richest individuals in Iraq. The two are the founders of Asiacell, the second largest telecom operator in Iraq. At the same time, they were also spinning a cigarette business. While concentrating on the development of the telecom, Rauf and Mustafa need someone to manage their side business as well. Salam became their choice and proved in time to have the qualities of a successful manager. According to classified information, Farouk Moustafa has had long-standing contacts in different smuggling channels, and not only of cigarettes, since the time of the socialist government, when Bulgaria was tasked by the Warsaw Pact with priority work in the Middle East region. Farouk’s connections with the cadres of the former Main Directorate of the then-State Security have been along the line of the contacts of the People’s Republic of Bulgaria with pro-socialist Iraq under the leadership of Saddam Hussein. In spite of political changes, they have never stopped. Moustafa has simply transferred the smuggling business to his loyal driver and apprentice Salam, after making a soaring career in post-war Iraq and the fall of the Hussein regime. Thanks to the political, financial and logistical support from his sponsors, Salam Quader Faraj continued to successfully advance the business with contraband cigarettes. His base is in the eastern part of Iraqi Kurdistan, from where the channels go to Turkey and Iran. Rauf and Moustafa provide funding, trucks and administrative logistics. Traditionally, the main supplier of contraband cigarettes is the Bulgarian Bulgartabac Holding, but it is not the only one. It is important to note that Hiwa Rauf is directly connected with the special services of former dictator Saddam Hussein, who were in friendly relations with the Bulgarian State Security and partnered in the two-way drug trafficking during the Communist regime. The connections of Salam’s “patrons” with senior State Security officers have proved to be crucial for his top position as the main distributor of the legal and illegal production of Bulgartabac. If all this can be summarized in two sentences – simply, the former State-run tobacco-smuggling business has been privatized by those who controlled it during the Soviet era. Today, it is run by their protégés, such as Peevski and Salam, while their puppeteers and fathers lurk in the shadows. Initially, Salam began working with Caledon Invest, a distributor of Bulgartabac registered in the US state of Delaware. Salam Faraj even became an official Caledon importer for Iraqi Kurdistan. The official letter confirming Salam’s special rights in dealing with Bulgarian and Iraqi institutions was signed by the former Chairman of the Board of Directors of Bulgartabac Holding – Alexander Manolev. He is currently Deputy Minister of Economy, while his recent nomination to become Minister of Transport and Communications failed amidst media reports of improper business dealing and a road accident in 2012. The interesting thing in this letter is that it confirms Bulgartabac’s long-standing “special relationship” with Salam, dating from the years before the Holding’s privatization. With this letter, Caledon and Salam confirm before the Customs Agency their rights as a counterparty in cigarette exports. When Bivol filed its request under the APIA to find out whether such a letter exists in Customs archives, instead of replying with a yes or a no, the Customs requested permission from… Bulgartabac, and naturally, the latter refused. This was precisely the moment, when the late General Vanyo Tanov, then-Customs Head, was preparing to disclose the requested information but suffered a sudden heart attack and passed away. His successor, Rosaliya Dimitrova, however, grounded her refusal with… Bulgartabac’s refusal to provide the information, which means that the Customs had made available Bulgartabac the evidence provided by Bivol of their smuggling scheme and of them concealing facts of great public interest! Meanwhile, the Bulgarian Prosecutor’s Office launched an investigation into a contraband scheme related to this company and requested legal assistance from the United States (see here). The proxy Caledon became embarrassing. In addition, in Kurdistan itself, Faraj’s license was revoked in 2011. This necessitated the reshaping of the business through other intermediaries. Turkey’s Financial Crime Investigation Board MASAK identifying Salam Quader Faraj as an organizer of cigarette contraband causing damages the Turkish Treasury, coincided with making official Peevski’s participation in the ownership of the tobacco holding through the shares of arms dealer Peter Mandzhukov. Do sales of Kalashnikovs and cigarettes go hand in hand? Meanwhile, Rauf, Moustafa, and Faraj became associated with the inevitable Nokan Group. Nokan is a large business conglomerate based in Sulaymaniyah, the Patriotic Union of Kurdistan’s (PUK) stronghold. There had been no chance for Faraj, Rauf and Moustafa to reject this “political sponsorship”. “Nokan Group” is engaging in various activities, including official cigarette trade. But under its cover-up, there are also channels for illegal smuggling. Salam Faraj is by far not the only smuggler enjoying Nokan’s protection. In addition, the group works with Kawa Rash and Samal Faraj. The latter is not a relative of Salam. Rash controls the business with Iran, while Samal and his brothers are active in the Persian Gulf region. With the protection of Nokan, Salam Faraj’s network grows even more powerful. It diversifies supplies and trade routes as well as smuggled brands, not limited to those of Bulgartabac, but also including brands of major international manufacturers. Almost the entire contraband, however, passes through Iraqi Kurdistan. Faraj’s administrative hub is in Dubai. Mustafa has put Faraj in touch with the Lebanese Tarik Amin, who is the local administrator. Amin’s role is to manage the supply operations and organize transfers of goods to the logistics hub in Kurdistan. From that point on, all logistics is run by Faraj. Salam’s management skills, along with the financial and political backing, enable him to outperform local competition and practically become an unbeatable factor in the market. Under the Party’s cover-up, Salam becomes “Mullah Salam”, a wealthy cigarette trader in Sulaymaniyah, who makes generous donations for charity, including the hospital in the city. He acquires an “oligarch” status and even sponsors the Kurdistan government in 2014 when, due to a conflict with the central government in Baghdad, money transfers to Kurdistan were stopped and civil servants could not receive their salaries. In 2015, Salam even tries to make his business legal by submitting documents to register the “Prestige” brand in Iraq, but his undertaking fails. By trucks to Qandil, a small town near the Iranian border, then loaded on mules and entering Iran through Sardasht to supply the Iranian smuggling market. By trucks to the Turkish border at the Ibrahim Khalil border checkpoint, where they leave for the black market in Turkey and possibly Syria. It is believed that this border crossing is controlled by the people of Masoud Barzani, the President of Kurdistan. The fees to allow the goods to cross the border he has collected have made him a billionaire. Andalus also works actively via Beirut, and there are indications that it is also carrying out a strong transit of all kinds of goods through Beirut Shipping LLC, where the majority owner is the same Essa Al Shamsi. The main brands of cigarettes smuggled by Faraj are still those of Bulgartabac – “Prestige”, “MM” and “Victory”. But his portfolio also includes brands of major international manufacturers such as the British-American Tobacco brands “Marlboro”, “L&M”, “Lark”, “Philipp Morris” and “Dunhill”, along with “Winston” “Rothmans”, “Kent”, “Viceroy” and “Aspen”, among others. This means that Salam’s supply chain is not limited to Bulgartabac, and probably uses the official channels of import and distribution controlled by the Nokan Group. Taxes on cigarettes and, accordingly, prices are very low in Iraq and Kurdistan. Profits can be made even when legally purchasing cigarettes in Iraq, and then smuggling them to Turkey, as in Istanbul the price of a pack/box of cigarettes on the black market reaches USD 3. The most important company in Dubai is Andalus Al-Sharq, in which Salam Kader Faraj is a partner with the Iraqi Kurd Adel Abdullah Fuad Mohamed Ali. They hold 49% and the remaining 51% of the company’s shares belong to the local sponsor Essa Saeed Rashid Khalfan Al Shamsi. The suppliers of Andalus Al-Sharq include MacBeth Cigarettes and Dona Flor (Brazil) and Marshal Appliances (North Korea). Bulgartabac is not listed as an official supplier in the company’s incorporating documents, although the largest quantities of cigarettes have been purchased precisely from the Bulgarian holding. Salam’s partner is the director of a local hookah tobacco factory located in the Rakia Free Trade Zone. Its products under the brands Sama Infinity, Ajman and Moassel Ajman are sold online in Europe as well, for example in Germany. Adel Abdullah Fuad Mohammed Ali holds 49% in Beirut Shipping LLC, while the remaining ones belong again to Essa Saeed Rashid Khalfan Al Shamsi. The director and contact person of the three companies is the Indian Niyas Thaikandathil. It is alleged that Faraj’s smuggling has the support of several military and terrorist groups controlling supply routes, including the Kurdistan Workers’ Party (PKK), considered a terrorist organization by Turkey. Trade with Iran cannot take place without the approval of the PKK and the Kurdistan Free Life Party (PJAK), as well as the Democratic Party of Iranian Kurdistan (KDP-I). The last two political and military organizations are fighting for the independence of Iranian Kurdistan. Contacts with them are provided by the PUK and most likely the trafficker pays fees for the passage of the goods through the territories they control. To trade on the other side of the Turkish border, Salam Faraj needs the PKK protection in particular. But Faraj himself has no direct contact with them and uses Hiwa Rauf’s PKK connections. The latter is close to the party’s leaders in Sulaymaniyah and Vienna. Turkey’s cigarette route passes through territories controlled by the Kurdistan Democratic Party (KDP) of Masoud Barzani. That is why Salam Faraj has established good contacts and has made a mutually beneficial agreement with Sardar Barzani, a member of the President’s clan, who controls the trade and the smuggling in the area. There is no evidence of links of Faraj’s network with the Islamic State, although in the past Farouk Moustafa’s companies have bought oil from oil-rich areas controlled by the organization. This trade stopped as soon as the Islamic State attacked Kurdistan in August 2014. In May 2015, Salam Faraj’s business was dealt a severe blow by an operation by the Turkish authorities, confiscating a large shipment of cigarettes from Bulgartabac to Turkey’s port of Mersin. Details of the operation were immediately provided to the press in the form of a MASAK report. Salam Quader Faraj is named in the report, which also states that he has established close relations with smugglers and PKK branches in Europe. Faraj himself was detained during the operation, but since he was not immediately identified, he managed to bribe the guards and escape before being transferred to a detention facility. After the hit and the media publications, Turkey begins exerting strong diplomatic pressure on the Iraqi Kurdistan government to shut down the smuggling channels. As a result, a new requirement is introduced – all cigarettes imported into Kurdistan should have warning signs in Arabic of being harmful to the health. This makes it easier to identify cigarettes smuggled from Kurdistan to Turkey. In addition, the licensing regime is tightened and traders have to pay a USD 2 million guarantee to get a license. This severely hinders the business of Salam Faraj and of other smugglers. The confrontation of the Turkish authorities with the PKK grows even worse, which becomes yet another obstacle. Within months, smuggling channels to Turkey dry up. Nevertheless, in Kurdistan itself, the smuggling continues to flourish, largely as a result of the financial crisis and the lack of cash in the region. Deliveries to Iran, where the PKK and KDP-I dispute the control and the taxation of the smuggling channels, are continuing, albeit in a smaller volume. However, because of the scarcer quantities, conflicts also flare between the rival parties. As a result of media publications shedding light on and exposing Salam Faraj, the Kurdish authorities lift their protection from the Nokan Group and all cigarette import licenses of Salam Faraj in Kurdistan are revoked. This was also confirmed to Bivol by the official representation of Iraqi Kurdistan in Paris. Nokan Group manages to help Faraj avoid prosecution, but he is never able to reclaim his previous positions. Although small amounts of Bulgartabac’s “MM” were once again seized in Turkey in 2016, it appears that Salam Faraj has withdrawn from the business. He is much more visible in Sulaymaniyah where he is building a million-dollar villa and spends his time between Baghdad and his hometown. To date, the smugglers are well-known and the channel to Turkey is blocked. However, Bulgartabac’s exports to the Middle East continue, which means that the smuggling channels had been redirected, probably to the troubled Syria and to Iran, as well as to Iraqi Kurdistan itself.